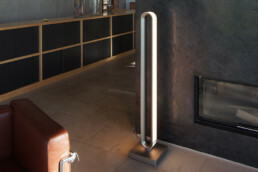 With Loop Line we have set a real lighting trend. LED light for purists – exquisitely staged and technologically brilliant: that is LOOP Line. 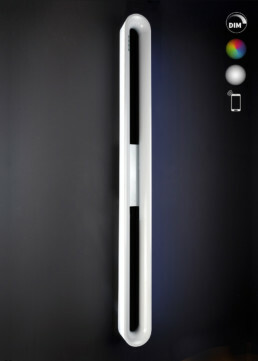 Because of its cool style, it won the German Design Award, which makes us very proud at SiglLicht. 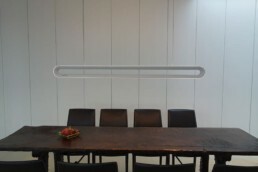 The Loop Collection consists of four variations, which we have just called P, W, D and S – matching the puristic and persuasive performance of this extraordinary designer light. 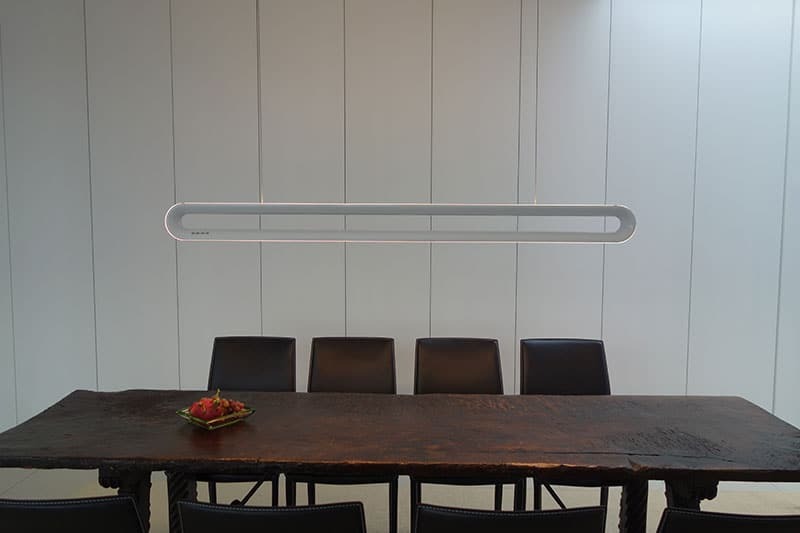 P stands for all the suspended lamps, W for the wall light of the LED Collection, Loop D is for any mounting on the ceiling and S is our floor lamp. Loop Line does not only look great, it also convinces with its technological features. 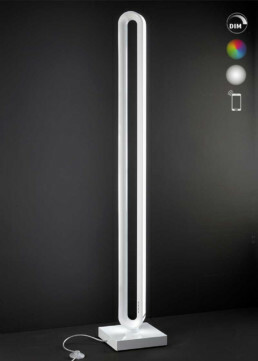 You LED light is changeable in colour and you can infinitely adapt the colour. We produce Loop with extruded aluminum in silver, bronze and black, giving Loop a luxurious and puristic look irrespective of the variation. 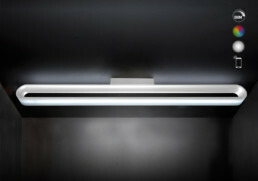 The integrated LED light band engulfs the body and spreads the light harmoniously in all directions without focusing. 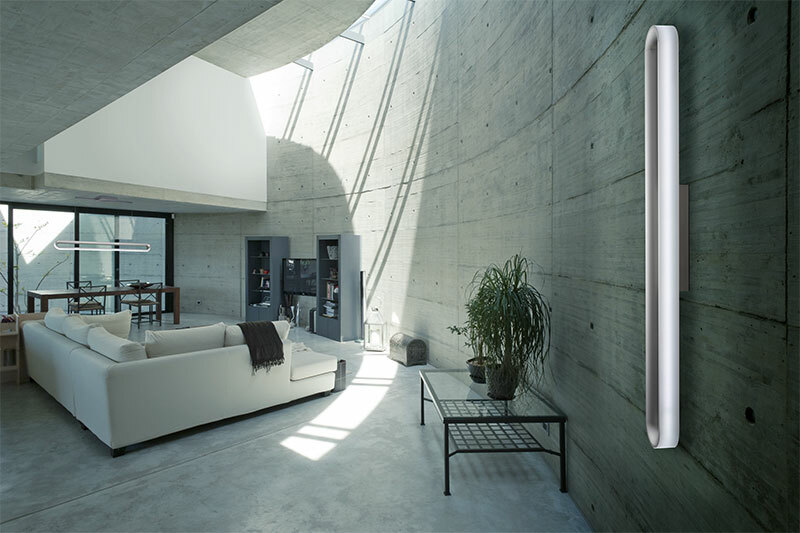 With a gentle touch pad on the body of the Loop Line lights you can easily control Loop by choice: gentle, dimmed LED white light in a creamy colour or neon colour light: lighting atmospheres are selectable by choice with just a touch of your finger on the pad to change LED colour. Technology fans will love the app specifically created for Loop, by which you can easily control this luxurious light right from your couch. You will find Loop in three sizes: 90 centimeters, 120 centimeters and 150 centimeters in length. But of course we produce a special format of Loop Line products with the corresponding LED lights upon special request. Get enchanted by this magical and award-winning designer light and turn your own room into a fascinating light studio. Do so with this lamp, which will impress you every single day and surely won’t get boring. 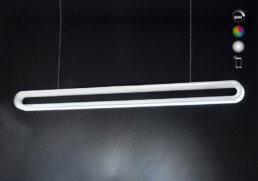 Loop – others call it designer light – we prefer calling it light poetry. Features/technology: LED lighting with engulfing LED lamps, LED diode, 650 to 850 lumen, extreme stability of LED lamps, low power consumption.